Perk up your afternoon (get it?) 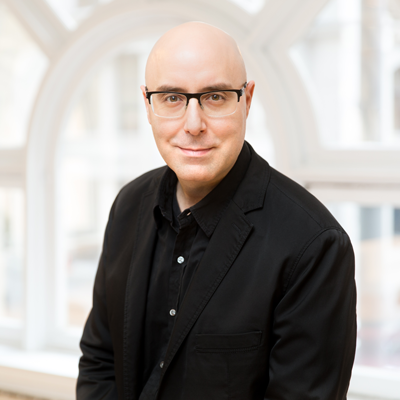 with an exclusive conversation between Mirum agency leader, podcaster, and bestselling author Mitch Joel and a mystery guest. Mitch is crazy-smart and one of marketing’s leading thinkers. If you've ever listened to his award-winning Six Pixels of Separation podcast (or read his long-running blog of the same name), you know that he is a skilled interviewer capable of teasing equal measures of education and insights out of a conversation. Mitch doesn’t just interview guests—he weaves together a conversational narrative that layers what matters now and where we are headed (and what we need to do to prepare for it). This is a rare opportunity to eavesdrop on what’s guaranteed to be a fascinating conversation between Mitch and a very special, surprise guest. Join us to see who (and what) happens over coffee, live and on stage.